Okay, so your team just won the Stanley Cup for the first time in their history. It&apos;s an epic event, no argument there. It&apos;s a moment in time that every sports fan waits for so that they can celebrate when their team wins a championship, so we can appreciate a fan&apos;s exuberance in that moment. 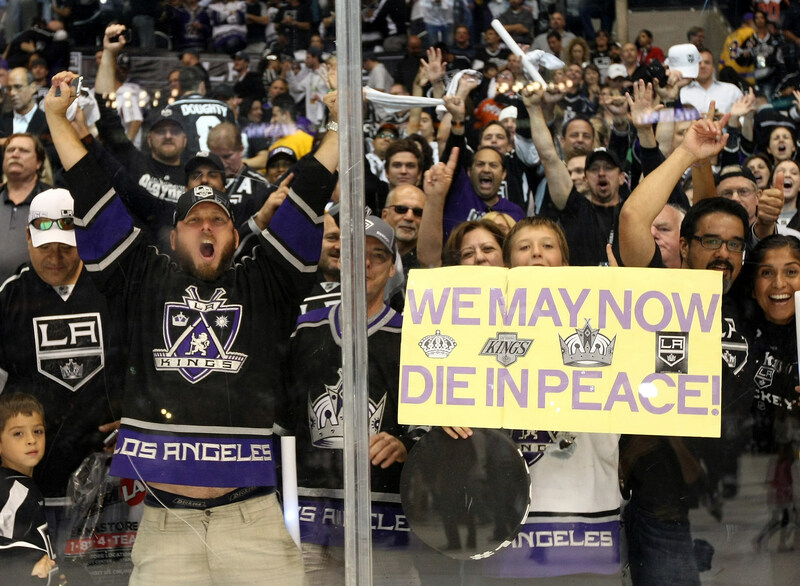 Then there are other fans that just go way over the top in their passion for a specific team. Here is an example of one of THOSE fans. Meet Kent Bentley, he's a fan that came all the way from Toronto to watch his favorite team, the Kings, win the Stanley Cup. At first glance you'll think "ok he's a passionate fan," nothing wrong with that, right? But as the interview continues, it gets weird real fast. Watch the video and check it out for yourself. Do you think Kent is too far over the top? Do you know any sports fans like Kent? Comment below.